The Amazon Echo has a wonderful feature called Flash Briefing, and it’s a great way to start you day. Here’s how you set it up. 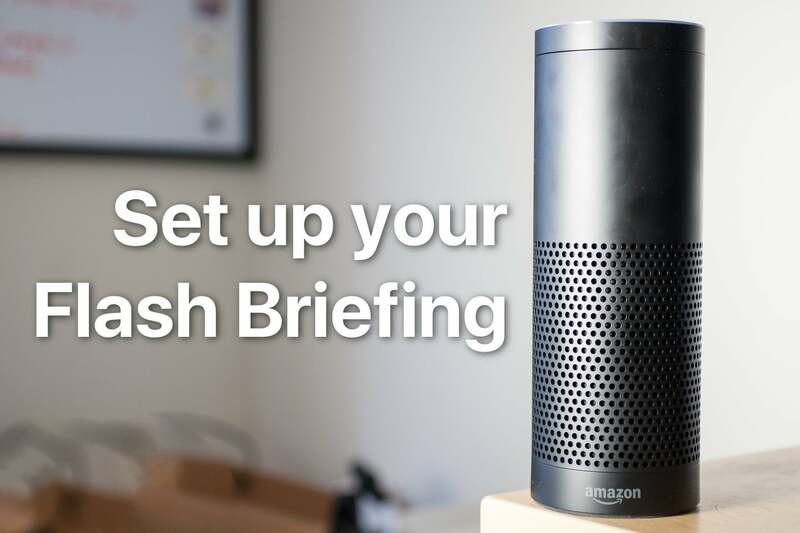 Flash Briefing is a feature built into the Amazon Echo and it’s aim is to give you the news of the day from your favorite news sources. All you have to do is say “Alexa, give me my flash briefing” and your briefing will start playing. And there are plenty more, but you get the gist. Setting up your own Flash Briefing is pretty straightforward. I wish that Amazon Alexa on the App Store was a little more polished, but it gets the job done and you can be up and running in just a minute or two. You should already have this installed on your smartphone or tablet, but get the Alexa app for iOS or Android and sign into your Amazon account. Once you’re in, you want to got to Settings, and then tap into the Flash Briefing option. Once you’re on this page you can start adding and removing things from your briefing. There may be some sources there by default, but you can change them to whatever you want. My personal recommendation is you start by tapping on the “Get more Flash Briefing content” button to see what skills are available. As of this writing, there are 2,607 skills you can add to the Flash Briefing, so there is no shortage of content, you just need to find your content. You can choose from top news sources, customized picks based on what Amazon thinks you’re interested in, as well as simply searching for what you want. As mentioned earlier, there is a ton of content available, the odds are that whoever you get your news from will have something to offer. It’s also worth noting that some news sources have multiple categories you can choose from when setting them up. 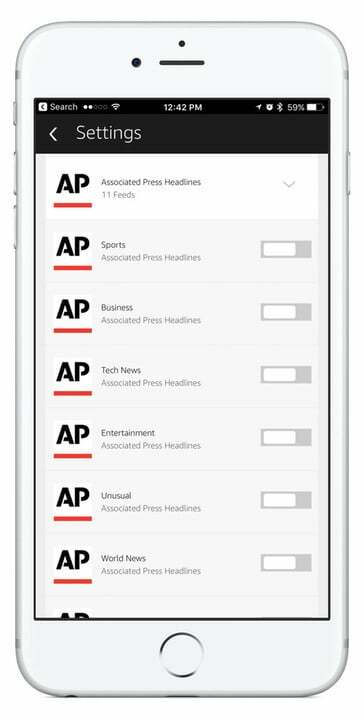 The Associated Press, for example has 11 difference news feeds and you can choose however many you want in your Flash Briefing. This is really convenient as it gets you the news you want without the fluff. Also, I highly recommend you only add a couple sources to your Flash Briefing because it can get quite long quite fast. With my personal settings the Flash Briefing goes for about 3-5 minutes, but you can easily get one that is pushing into the half hour territory if you add too many. Pick your favorites and don’t get too crazy. The Flash Briefing on the Amazon Echo is one of my favorite things it does and I use it everyday. I just ask Alexa to play my Flash Briefing when I walk into the kitchen to make breakfast, and I listen to the news as I get ready for the day. It’s a nice and easy way to keep up with the important news of the day without a lot of effort. Now that you know how to get up and running with the Flash Briefing, go and explore what’s in there. Add a couple sources you think you’ll enjoy and see how they go. If you don’t like one, just get rid of it and try something else. Maybe all you want is the one minute summary from the Wall Street Journal. Maybe you want to have add 5 different news sources and play all of their briefings in a row and it takes 45 minutes, that’s okay too! Play around for a couple days and see what you like. Once you get it set up how you like it, you’ll find this an indispensable part of your mornings.